An art form composed of tunes, traditions and history, Indian classical music is deep-rooted in Indian culture. Some fortunate few have mastered the art in varied disciplines and taken it across the globe. Now cherished internationally, these artists have had years of training in this age-old musical form. Melodies of tradition, verses of anecdotes; Indian classical music harmoniously recites stories and sagas. The music is crafted out of swaras and the lyrics usually recite tales of friendship, love and devotion. The tunes from the tabla, the tanpura, the bansuri, the harmonium and the sitar blend with the trained vocals of classical singers who spread a mellifluous magic. Indian classical musicians bring on stage an age-old tradition and culture and years of training and discipline, through their performances. Many of them have transcended borders and taken their art to international platforms. Winners of many hearts and accolades, these musicians have come to be synonymous to the Indian classical music in contemporary times, and are the torch bearers of India, taking the music form to the rest of the world. A carrier of Indian tunes to the world, Panditji has a following all over the world, besides his admirers across India. His voice resonates the richness of his practise of the art. 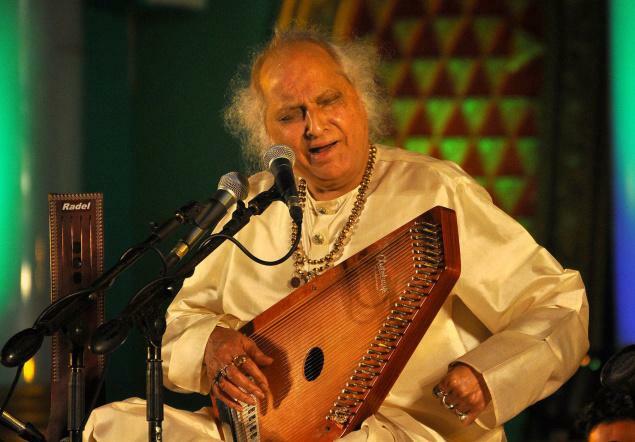 Panditji, was introduced to music by his father, Pandit Motiram, who died early in life. Thereafter, Panditji’s brothers Maniram and Pandit Pratap Narayan taught him the intricacies of Mewati Gharana, a musical clan and style formed in the late 19th century. His sonorous voice has bagged him India’s second highest civilian award, the Padma Vibhushan and also the Padma Bhushan and Padma Shri, the third and the fourth highest civilian awards. He also has to his honour various awards given by the Indian government, various state governments and institutions. Panditji has also been honoured with the title of ‘Excellent Musician’ by the Harvard University Art Museum along with Kalawati (a wing of the University). Besides this, he has been honoured by American Academy of Artists, The University of Toronto, Vedic Heritage in New York and others. The greatness of this cultured voice also has awards instituted on his name. A composer of over 300 bandishes or compositions, and a connoisseur of Haveli sangeet, a devotional music genre, Panditji, as a vocalist, has put Indian classical music on the world map. Panditji has passed on his knowledge of the royal musical style to many disciples. As a mentor and guru, he has trained many musicians and vocalists. 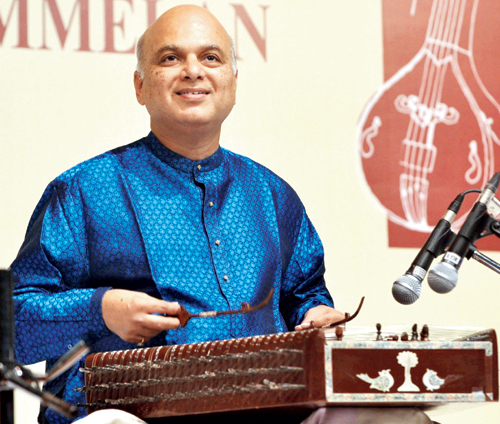 He has also founded the Pandit Jasraj Institute of Music (PJIM) in India, the US and Canada. A disciple of the sitar maestro Pt. Ravi Shankar, Bhatt’s music knowledge base has its origin in Mughal emperor Akbar’s court musician Tansen and his guru, the Hindu mystic Swami Haridas. A Grammy award winner, Pt. 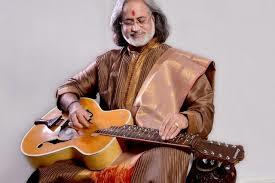 Vishwa Mohan Bhatt has amalgamated the western and classical chords and uniquely put himself and Indian classical music on a global stage. He is the creator of the Mohan Veena, an Indianised western Hawaiian guitar. An assimilation of the sitar, the sarod and the veena techniques, this hybrid slide guitar has been adapted in the list of Indian classical instruments. 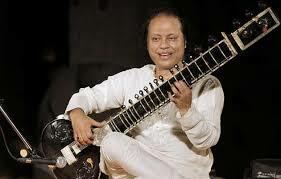 Bhatt is one of the greatest slide players in the world and has attracted much international attention redesigning and reshaping the guitar and inventing the unique Mohan Veena. Bhatt has performed extensively in the US, Canada, the Great Britain, Germany, Spain, France, Italy, Netherlands, Belgium and Scotland among a total of 80 countries and 500 cities across the world. Having trained under the greats like his father Dr Bhanu Majumdar and grand guru Pt. 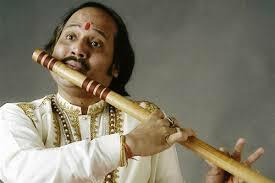 Ravi Shankar, Majumdar has a deep-rooted education and training in flute playing. He hails from the Maihar gharana. An ace flautist, Pt. Ronu Majumdar is a global figure when it comes to flute. A Grammy award nominee, he has performed and composed for the Hollywood film ‘Primary Colours’ and collaborated with top artists like George Harrison, John Hassels, and Indian maestros like Pt. Ravi Shankar, Pt. Bhimsen Joshi, Pt. Jasraj and Kishori Amonkar. Playing on the notes of traditions, Majumdar has also jammed with guitarists Ry Cooder and Larry Coryell, transcending his tunes between eras. Majumdar has taken the Indian flute or the bansuri to a global platform and has been felicitated with numerous accolades and awards worldwide. Further enveloping the world with his soulful tunes and passing hands down a unique set of skills, he runs his Sadhna School of Music in Chicago, USA. A Santoor maestro, Padma Shri, Pandit Satish Vyas was fortunate enough to be born to Padma Bhushan Late Pandit CR Vyas, his first guru. His second teacher, Padma Vibhushan Pt. 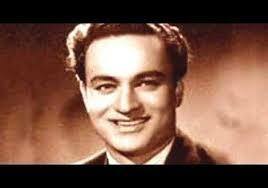 Shiv Kumar Sharma helped Vyas master the santoor. But, before Vyas embarked on his musical journey, he earned a Bachelor’s degree and a Master’s degree in science and management studies and even began establishing a career in the business world. After devoting himself completely to music, he performed at concerts all over the world and has been doing so for 30 years now, in countries like the US, the UK, Japan, Australia and most parts of Europe. In 1997, he was the only non-western instrumentalist invited to perform in Venice, Italy, at the ‘Mostra Mozart Festival’, organised by the European Mozart Foundation. Universally acknowledged, leading sitar player Ustad Nishat Khan is a master when it comes to rendering the chords of his instrument. Khan, who began playing at the tender age of seven, hails from one of the most famous family of musicians in north India whose musical culture dates back seven generations. The son and disciple of Ustad Imrat Khan, Khan’s approach to his music is a unique fusion of Indian and contemporary styles. He plays on the heritage musical tunes he has inherited and clubs them with genres such as the western classical music, jazz, flamenco and Gregorian chants. John McLaughlin, Philip Glass, Paco Peña, Evelyn Glennie are some of the artists he has performed with on global platforms. In the category of his various international performances some recent ones are at the Theatre de la Ville, Paris in 2015, at the Budapest Festival 2015, and most recently at the Barbican Hall 2016. A classical player with a contemporary approach, Khan has also performed at film festivals in India, and at major venues internationally, including Carnegie Hall and the Lincoln Centre in New York and the Royal Albert Hall in London. Why Google India dedicated its doodle to Indian singer Mukesh?